Home / advertising / Hrithik Roshan – The Urban Pied Piper – Hrithik’s Latest Reliance Ad Reviewed! Hrithik Roshan – The Urban Pied Piper – Hrithik’s Latest Reliance Ad Reviewed! This ad perfectly blends fiction, creativity and business. Hrithik Roshan gets into the fictional character of Pied Piper of Hamelin. His unshaven and rugged appearance not only creates a sense of mystery but it also reflects a feeling of hope. The story is narrated with a punch. The message is delivered with flamboyance. The ad opens with a man in his late 60’s gazing at a member’s only sign, while a young boy was shown contemplative about the extra charges. Similarly, a girl was shown through a glass window with a conditions apply sign. Then, the entry of our urban pied piper takes place. He quickly detects the unpleasantness around him. He whistles and suddenly a flute appears in his hand. 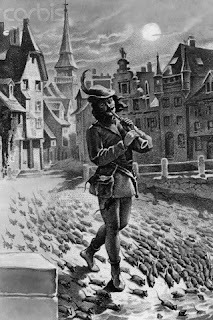 He starts playing a tune with a classic pied piper style dance steps. Suddenly all extra charges, member’s only signs and other frustrating charges begin to turn into rats. He keeps playing the tune until all those unwanted tariffs gather around him as rats. A little girl was shown clapping in between for his magic. The urban pied piper dances immaculately at his success. He drives all the rats away with ease. He lures and takes them to a hill top and let them drown in the river. Here, the rats symbolize monthly charges, special vouchers, conditions. Hrithik’s Latest Reliance Ad Reviewed! The concept seems nice and its execution was extremely brilliant. This ad definitely scores in every aspect. Cartwheel Creative Consultancy has done a wonderful job while we can’t forget its music! It’s simply magical. And really the music is magical. You're absolutely right Somyaa. The tune is truly magical! Thanks for commenting. Keep reading.